Keep The Air Quality in Your Commercial Rooms, Warehouses, Offices & Shops Safe By Replacing the UV Bulbs and Pre-Filters Once Per Year. Here We Offer A Complete Annual Replacement Kit at A Discount Price with Free Shipping! 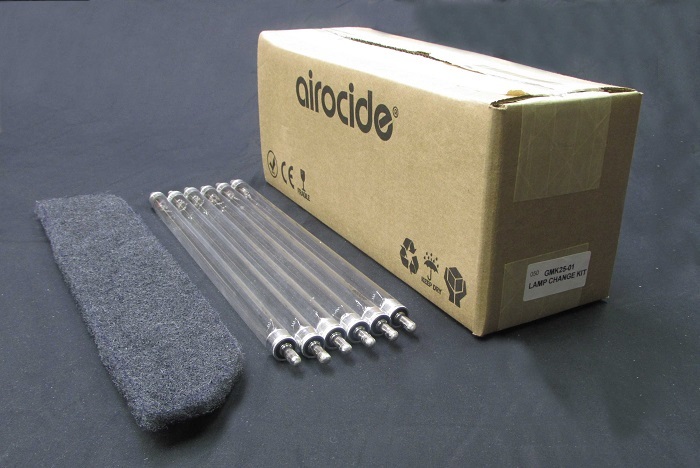 Original GMK-25 replacement UV bulb & pre-filter set for GCS-25 industrial air cleaners provide the best indoor air quality when replaced every year.